You can always tell a quality item just by looking at it, can’t you? The short answer is perhaps! How much dust is there? Are there clumps of pellets? It sounds obvious but are the pellets all of a uniform size, width and length or do you have a range of sizes mixed in with broken pellets? Your boiler is set to take a steady but consistent volume of pellets over a set period of time. Over or under sized pellets can affect this rate having a knock on effect on the volume of pellets you use, leading to you filling up your boiler more often or a fluctuating heat output. Dust and fines (small bits of broken pellet) are public enemy no.1 in the wood pellet industry. When you look at a bag of high quality wood pellets there may be a little dust clinging to the inside of the bag but overall there should be virtually none – and we mean none! In an average Land Energy 10Kg bag we expect to see less than 30g of dust and fines. A large proportion of dust and fines translates in to clogged conveyers, poor quality burn and wasted cash. Differences in colour will come from changes in the raw materials going in to the manufacturing process, this could be different types of wood, changes to additives or process, while these may not be detrimental to the flow and movement of the pellets through the system the burn quality of the pellets maybe affected. Moving from what you can see to what you can’t, by looking at a pellet you are unable to determine the calorific value (how much energy it holds) and the ash content (how much ash does it produce), to establish both of these factors you will have ask the manufactures for their test results. The importance of both of these factors should not be underestimated as they have a huge knock on effect on how much you burn and in turn how much your boiler costs you to run. Ready for the science bit, the calorific value (CV) is the amount of energy a tonne of pellets contains and is determined by measuring the heat produced. The ENPlusA1 standard demands at least 4,600 KWh/t. 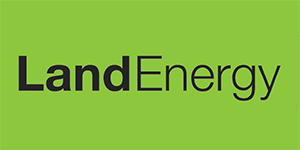 Land Energy guarantee a minimum of 4800 KWh/t, and to ensure we meet this level we have our Land Energy pellets verified by an independent laboratory. The quantity of ash is also set by ENPlus A1 at <0.7% allowable ash per Kg of pellets burnt, which translates in to a typical household generating 35 Kg of ash for 5 tonnes of pellets burnt. Land Energy Pellets have an average ash content of <0.2% and also tested to measure this. So what does mean for you, if the bag your looking at is uniform and free from dust, clods and broken pellets, has an ENplus logo on the bag then you are on the right track, but to be sure you’re getting the best value for money ask the supplier for the CV and ash quality test results.